Check out our World Famous Programs! PAYMENT PLANS AVAILABLE FOR ALL DOG TRAINING PROGRAMS! Puppy Meet and Greet / $50: When it comes to working with pups under 5 months old, we offer a puppy consultation. The consultation is a private, one-on-one session with the trainer for about an hour, where we go over important topics for those early months of your puppy’s life! This includes socialization, potty training, & crate training and answering any questions you may have. We know many owners are anxious to get started with obedience training, but we do not recommend starting this kind of intense training (nor should any trainer) until they are at least 5 months old. Below is an overview of our programs for you to check out to help you decide what program is a best fit for you and (dog name) when they’re old enough! This includes the Off-Leash K9 Training E-Collar which all of our dogs are trained on, a training leash, and includes all FOUR lessons for $525.00. So you save $50.00 by paying for everything up-front! The e-collar we use has a two-year warranty, it is completely waterproof, and it has a range of 1/2 mile! This will be brought to your first lesson along with the training leash! By the end of this package, your dog will be able to be outside, off-leash, with distractions listening on command. This package is for those who really want their dog to be rock-stars! This includes 8 lessons for $850.00. 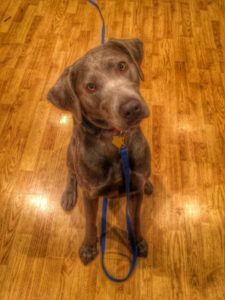 You save $75.00 by paying for the Basic Obedience Package and 4 Advanced lessons up-front! The e-collar we use has a two-year warranty, it is completely waterproof, and it has a range of 1/2 mile! 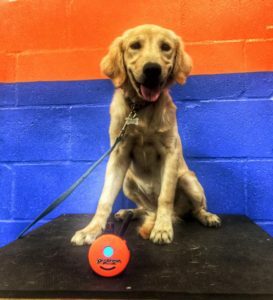 This will be ready at your first lesson along with the training leash! Dog Aggression Training Program: Does your dog have issues with dog aggression, dog reactivity, or simply go over the top when it comes to other dogs being around? If so, this is a specially designed program may be the best option for you and your dog. This 8 private lesson program is $950.00, which consists of our basic obedience package (4 lessons/5 commands) which will give you a solid foundation of control over your dog, just like the dogs you see in our 700+ videos on our YouTube Channel. Then, we spend the next 4 lessons working you and your dog around other dogs in different scenarios, commands, and situations. 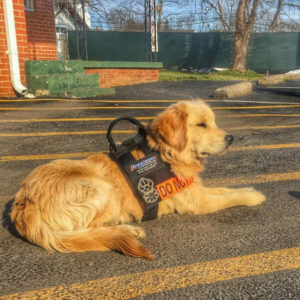 Giving your dog (and you) the skills, tools, obedience, and desensitization that is necessary in order to put you back in control of these situations. Contact us today to set up training!